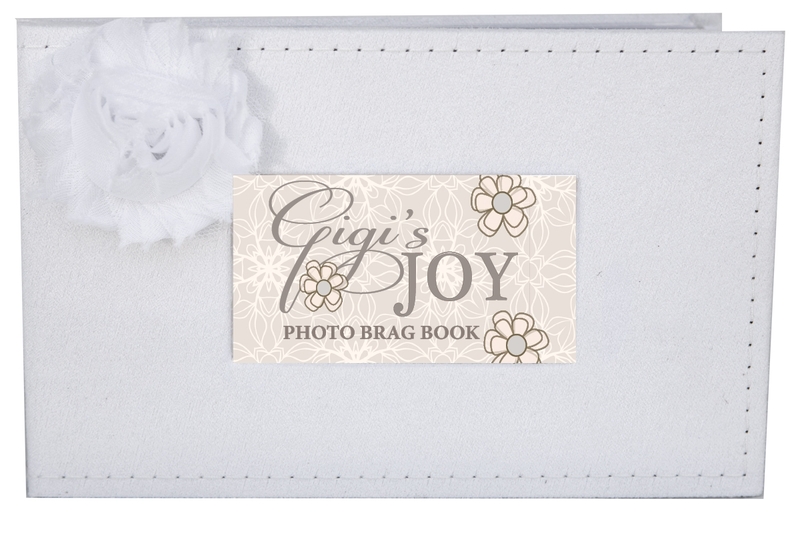 Gigi will love to carry our stylish new brag book to show off her beautiful grandchild or grandchildren. This sweet gift for Gigi will tuck into her handbag, briefcase or gym bag. 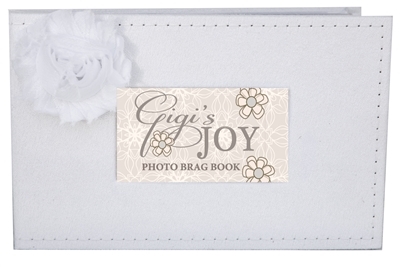 As a baby shower or new grandbaby gift, our elegant Gigi photo album makes a welcomed gift for new grandmother. The white faux-suede photo book measures 5x7'' and features 16 inserts which hold up to 32 3.5x5 or 4x6 photos. It features detail side stitching and is post-bound and acid-free. "We all love these brag books, Grandma, Mommy, Daddy and the Aunties. Even the people we have shown off our little man's photos to have asked where we got these brag books!"